The "Alpes d'Azur" constitute an outstanding destination for summer mountain lovers. In majestic settings in the hinterland and the mountains, every imaginable activity is within your reach, combining the best of everything nature has to offer. Easy relaxation, sporting exploits, and well being, are just some of the thrills you'll experience in the Alpes d'Azur. Even from the coast one can see the snowy balcony overlooking the French Riviera where 465 summits rise over 2000 metres and some even over 3000m. 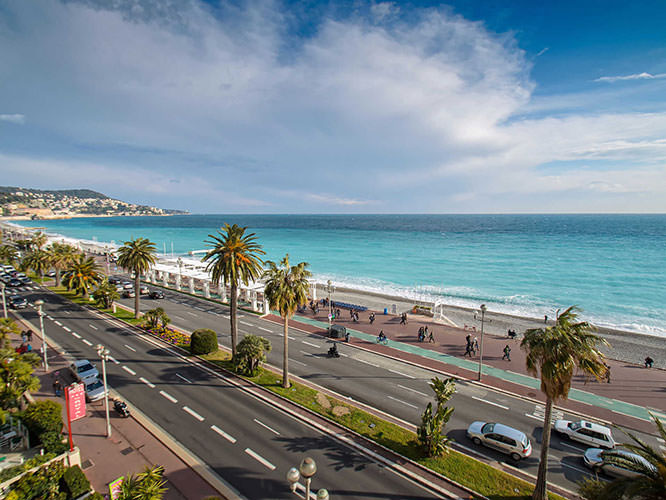 It takes just 90 minutes to drive from Nice to the furthest of the 15 ski resorts in the Alpes d'Azur. Auron, Isola 2000 and Valberg-Beuil feature among the major ski resorts of the Southern Alps. Snow, sun and fantastic skiing are all yours. 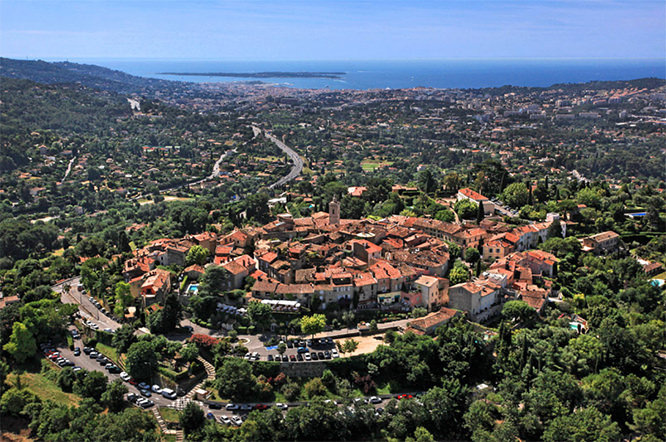 From coastal roads to mountainous gorges, opportunities are abundant to discover a host of towns and villages - Vence, St Paul de Vence, Mougins, Grasse, Valbonne and Biot to name just a few - a rich and interesting cultural and architectural heritage, with a wide choice of restaurants and sights to see. There are also over 120, perched-villages dotted all over the French Riviera. Eagle nests, overlooking the sea or villages and dominating their valleys, each one has its own unique charm to be explored along narrow alleys or in tiny craft shops. The most famous include Eze, Gourdon, Saint-Paul, Tourrettes-sur-Loup, Peillon, Sainte-Agnès, and Saorge. On the 120km coastline, there are a succession of famous towns - Nice, Cannes, Antibes, Villefranche, Monaco & Menton to name but a few. Along with the 40km of sandy or shingle beaches, promontories and islands, the French Riviera offers wonderful opportunities for boating and water sports. 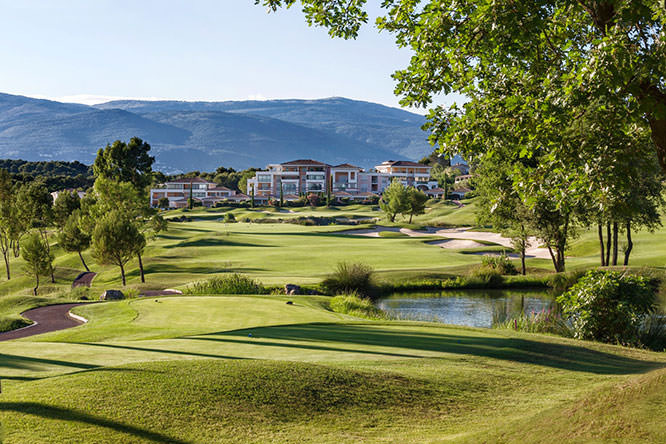 The French Riviera is a perfect destination for any golfer who likes to swing with the Mediterranean as a backdrop. Of the region's 21 golf courses - all designed by internationally renowned names - 19 are open all year round and located under half an hour away. There are 4 more golf courses in the mountains. Other popular activities in the region include tennis, cycling, walking, equitation, river bathing, yachting and water sports. Add the perfect finishing touch to your stay by taking care of yourself! 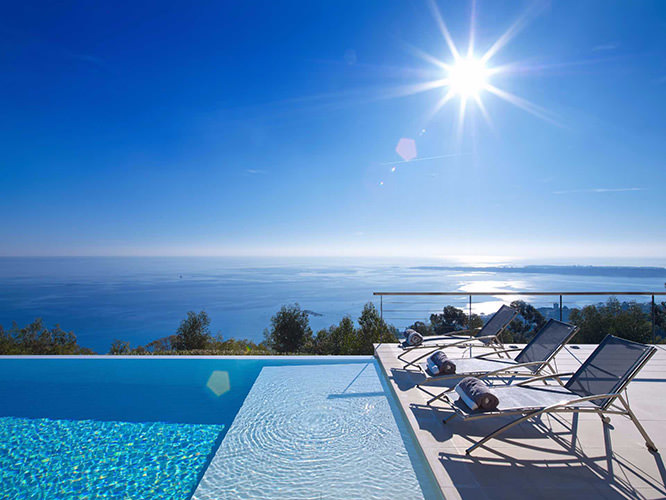 The French Riviera offers many spas, thalassotherapy centres and fitness centres. Well-being guaranteed! 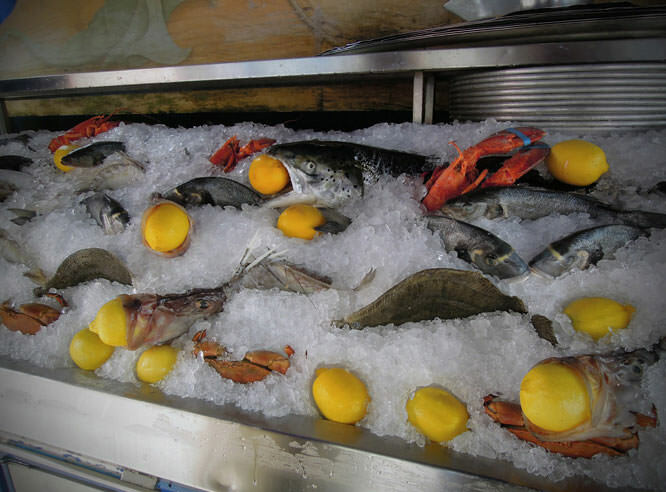 The French Riviera invites you to its table. Between the coast, the hinterland and the mountains, the Alpes-Maritimes is home to over 3000 restaurants and "auberges". The choice is vast and a pleasure to explore! The "Comté de Nice" - or County of Nice - is reputed for its wines; they include some of Provence's finest labels. Not to be missed are the white and red wines and the famous liqueurs produced by the Cistercian monks on their 15 acres of vineyard on Saint-Honorat Island. Introduced by the Greeks some three thousand years ago, the olive tree is to be found all over the French Riviera - from the hills of the hinterland right down to the coast. It is one of the most authentic symbols of the region. And did you know that olives from Nice have an official AOC label? They're the only culinary oil produce to benefit from such a label in France. It rains infrequently, mostly in March/April and October/November. In winter, freezing temperatures are rare, and sunny days abundant, but sweaters are advised. 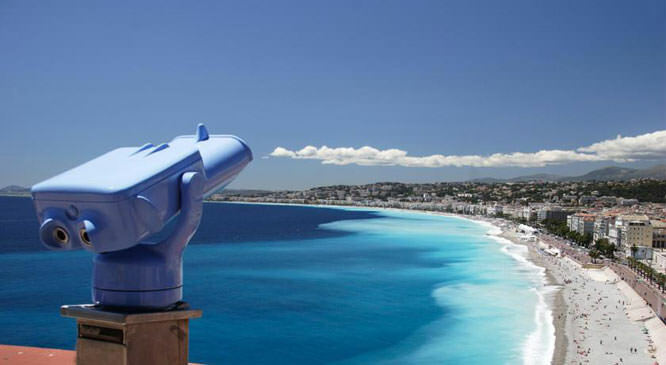 Nice Côte d'Azur is France's second largest airport after Paris, with direct flights from some 90 destinations and slots for almost 50 airlines. There are daily flights from the UK via British Airways, British Midland, Easyjet and Jet2. 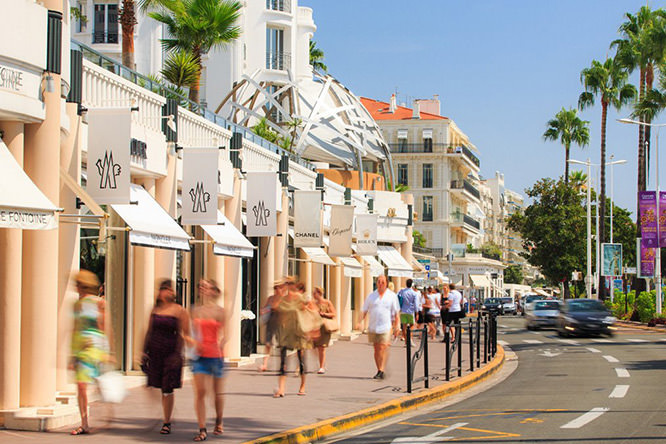 For business flights (between Monaco and St Tropez), Cannes Mandelieu airport is right next to the Croisette in Cannes. France's motorway system links the Riviera to the whole of Europe. A few examples of distances in kilometres from Nice are: Paris 950 km, Milan 320 km, Geneva 630 km, Barcelona 670 km, Rome 710 km, Munich 810 km, Brussels 1,220 km, Amsterdam 1,400 km. It is approximately an 8-hour drive from Paris to Nice. There are also regular coach company services from many European countries. 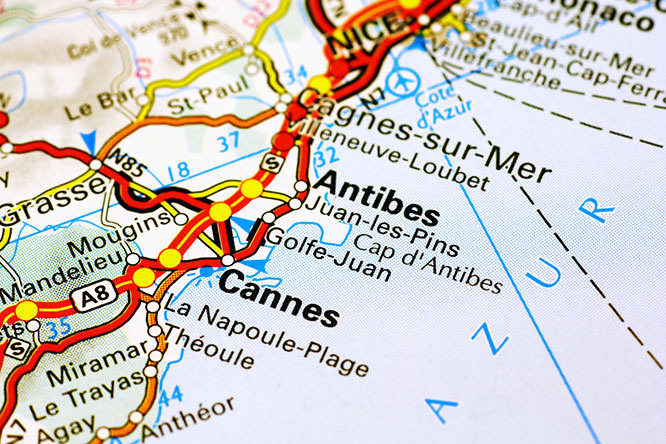 High-Speed and Express Trains (TGV and Train Corail) from the Riviera link the coast to all French regions and all major European cities. The TGV Méditerranée (high speed train) speeds you from Nice to Paris in 5 hours 25 minutes. The ports of Nice, Cannes, Villefranche-sur-Mer and Monaco are all Mediterranean ports of call for large cruise liners. Harbour stations are situated at the heart of the towns, enabling you to go straight to the centre of shopping and sightseeing areas. Rent a car through Joie de Vivre by clicking on our car hire link! You usually have to pay for parking from Monday to Saturday from 9 a.m. to noon and from 2 to 6 p.m. Many car parks and parking meters are at your disposal, giving you time to devote to leisurely strolls. In the summer season, traffic conditions may prove to be difficult along the coast. The bus network is well developed on the Côte d'Azur, with both inter-urban and inter-village connections. 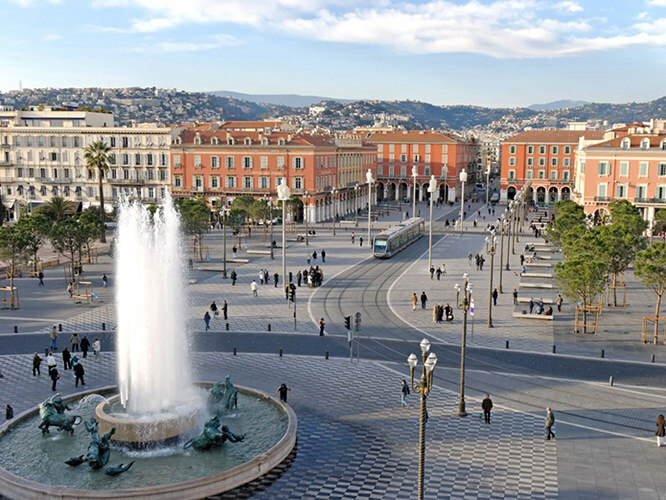 Shuttle services are also available from Nice Côte d'Azur Airport to town centres and also from all bus stations in towns on the Côte d'Azur. Timetables and information on the towns served are available from the bus stations. Taxi ranks in towns are indicated by a blue panel. To reserve a taxi, central booking services are at your disposal in the Riviera's main towns. Allo Taxi Riviera in Nice: Tel. +33 (0)4 93 13 78 78. 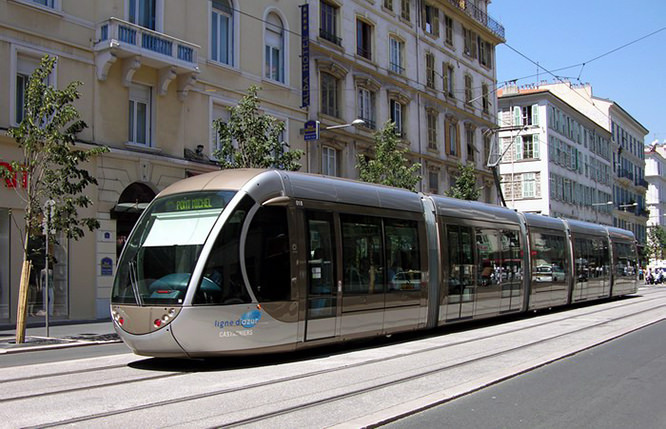 The TER (Regional Express Trains) provide rapid connections between the main towns on the Côte d'Azur from Cannes to Vintimiglia. At certain times of the day there is a train every 30 minutes. Information: www.sncf.fr(to order a ticket) - www.ter-sncf.com/paca (for timetables, services). From July 1st to September 30th, the SNCF's "Carte Isabelle" enables passengers to make an unlimited number of trips in any one day on all trains offering seats (except TGV express trains) in 1st or 2nd class, from Théoule-sur-Mer to Vintimiglia and from Nice to Tende. On sale at the train stations. the SNCF's Nice-Tende-Turin line runs daily services to the mountains, and notably the Valley of La Roya and beyond, to Limone, Cuneo and Turin. Worth noting, a summer coach connection from St-Dalmas-de-Tende to the Valley of Marvels. 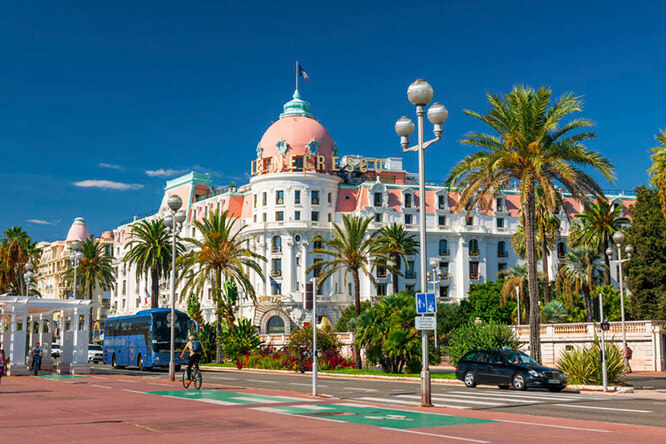 A tourist service is also proposed every day in summer and on weekends for the rest of the year on the 9.24 a.m. train departing from Nice: "Train des Merveilles". There are regular boat trips to the Lérins Islands from the "Gare Maritimes" in Cannes. All the boat companies run services to Ste-Marguerite's Island, but only the Planaria company runs services to St-Honorat's Island. 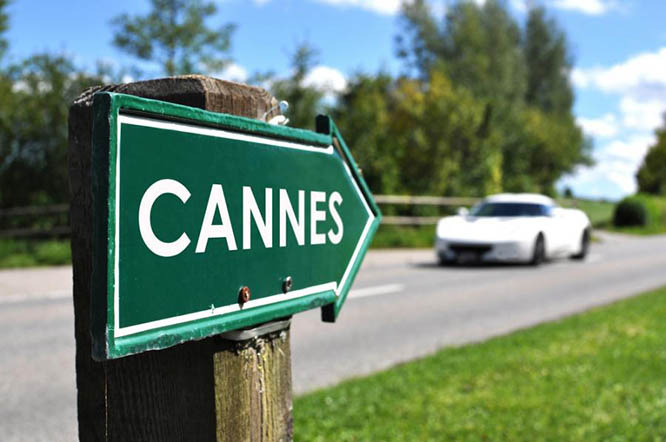 Further information from the Cannes Tourist Office.